A 24H stay lipstick is something that every woman is looking for. Who doesn’t want to not to worry while you are at a restaurant or even a night out? I bought my first Maybelline 24H SuperStay Lipstick a couple of weeks ago that I shared in the post, but only recently I gave it a go and I am definitely impressed. I went for a classic red as I had none and if you are to buy a red lipstick, you better buy one that stays for 24H. And this one does. Double ended, one side with the liquid lipstick and the other side with the ultra-conditioning balm. Beautiful formula, color and durability. The application is quite easy, using the brush that comes with this liquid lipstick. You can get to every corner quite easily. 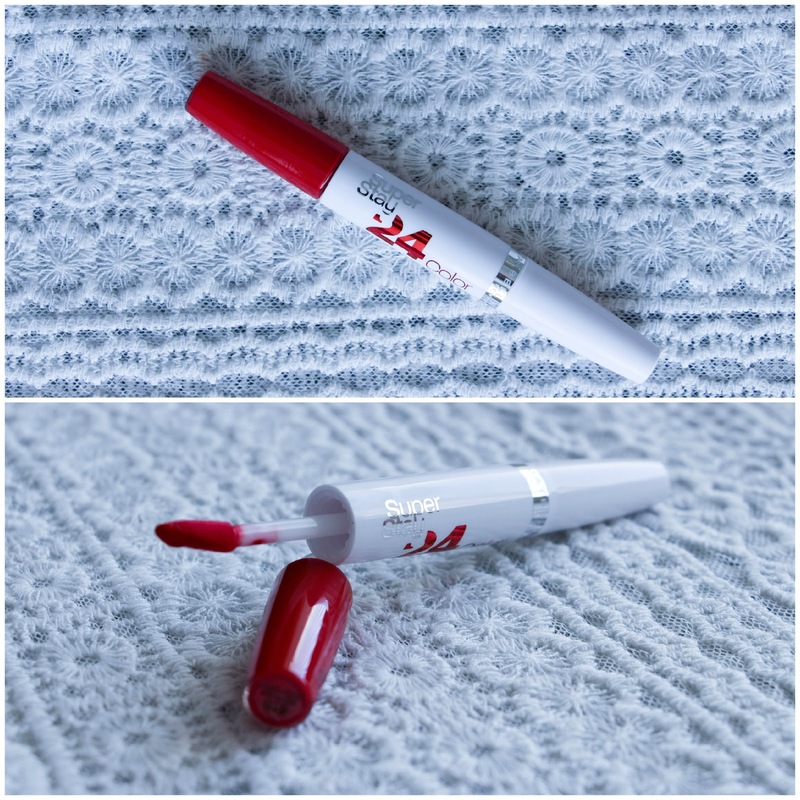 Also, even though it feels quite drying on the lips, that instantly changes when you apply the balm. That second step is essential and leaves your lips extra soft and you can reapply it as needed. It almost feels like I am wearing no lipstick at all as I don’t even have to worry about it. I love the formula of this liquid lipstick and the way it stays on no matter what! I am obsessed! And when I go back to the UK next week , I will definitely buy and every day color. A pink or something like that. Any advise? You can get it at boots from £6.99 to £8.99 depending on the colors and formulas that you choose. Have you ever tried this lipstick? Let me know!